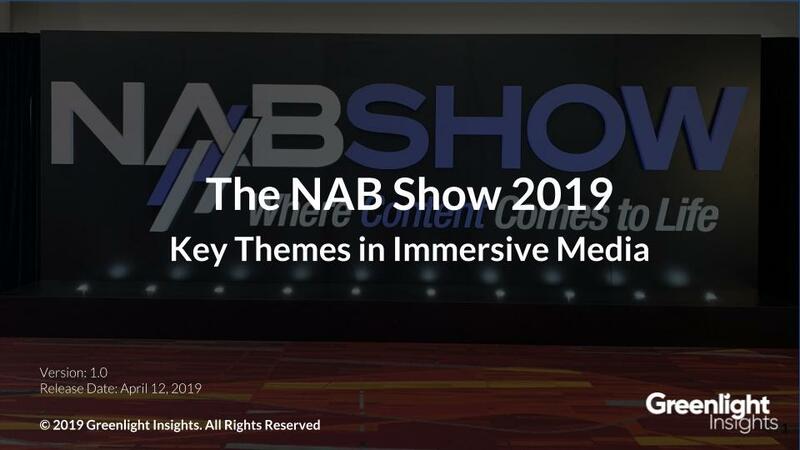 NAB 2019 featured several core event themes to help broadcasters and content creators navigate the mega trends disrupting the future of immersive media & entertainment. This show report contains the top stories from the show, and updates from the team and what caught our eye. The annual National Association of Broadcasters (NAB) conference focuses on a mixture of entertainment and broadcasting, showcasing every tool a content creator might need. While there were fewer spherical cameras and 360-degree video software tools in the exhibition than during previous years, immersive media broadcasting, hybrid cameras, and light-fields were still core event themes.